Just call me Gogo Everdeen! 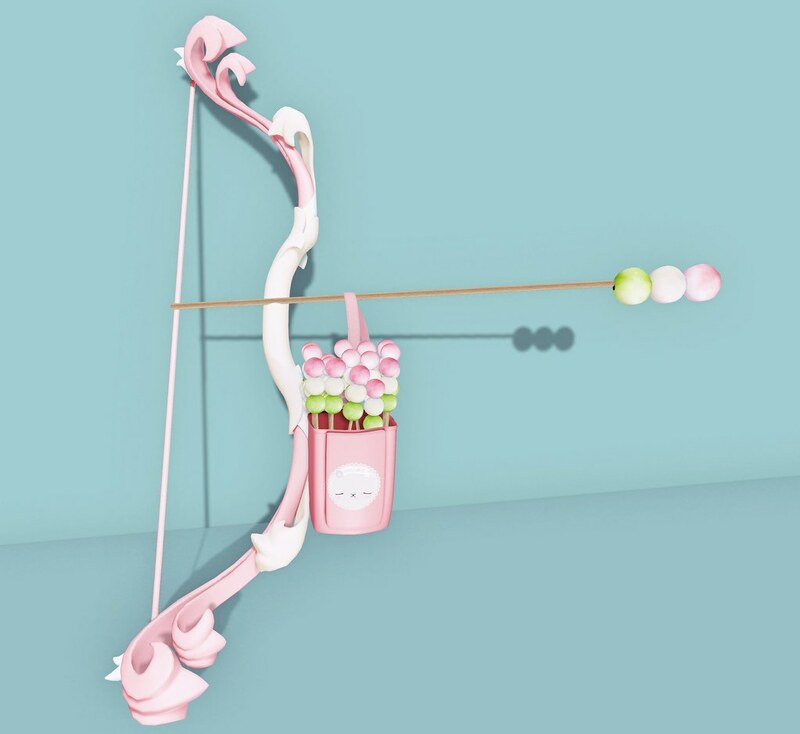 This Dango Arrow & Bow Set from Teefy is so perfect. I have a large collection of weapons in SL, but none as cute as these! The entire Food War Mania collection from Teefy are must-haves! The First Snow Hooded Dress/Hair from Exile, also at the Arcade, works well for this Katniss-inspired look too. To complete the look, I am wearing the newly released Arcadius Sandals from ANE. The JUICYBOMB ARCADE YARD SALE is back! Check it out! It’s more like Effie Trinket inspired look in my opinion. I’m thinking you’ve never seen hunger games….cuz that’s not even remotely similar to an “effie” look/outfit. I’ve seen both movies, thanks.